Microsoft announced at its Surface event this week that it’s allowing potential new Surface owners to get their products without having to plunk down a small fortune upfront. Namely, it’s offering a new payment plan, called “Surface All Access,” which packages Surface devices with Office 365 and lets users pay them both off over a period of 24 months. Surface devices can be a bit on the pricey side. A Surface Book 2, for example, will set you back a good $2,900. Even the likes of the new Surface Pro 6 can set you back a good $899. Not everyone has that kind of money, needless to say. The All Access plans replace the Surface Plus program, which offered the same payment timeline, as well as an upgrade option. All Access lacks the latter, but it bundles each device with access to an Office 365 subscription and in-store support and training. As pointed out in the FAQs, users own their devices at the end of the 2-year financing period, though they’ll have to buy their own Office subscription separately from that point on. The Surface Go bundle will yield you the smallest monthly payment at $24.99. The Surface Laptop will set you back $46.63. The description doesn’t say exactly which laptops will be available as part of the plan. 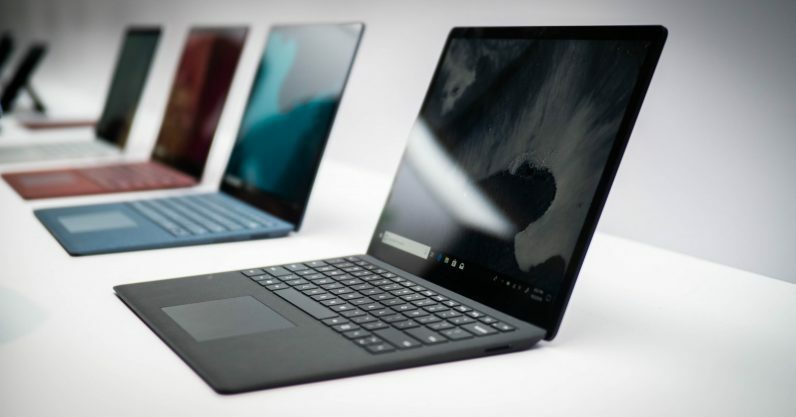 However, the release of some of the bundles coincides with the release date of the just-announced Surface devices, which implies they might be available for the bundles. Admittedly, at least one of the bundles comes at such a high monthly price it hardly seems convenient — that being the Surface Studio bundle, which costs a whopping $150.79 per month. This is also not the first All Access plan Microsoft’s introduced this year. In August, the company unveiled Xbox All Access, a financing plan for the Xbox One which works much the same way as the Surface bundles. For those of you interested, all but one of the bundles will be available on October 16. The one exception, the Studio bundle, will arrive on November 15.